In the hottest time of the year everywhere you can notice a lot of mosquitoes and flies, but with the onset of cold weather they disappear. Where these insects overwinter, and how they endure the winter? Where and how mosquitoes overwinter? It is known that female mosquitoes on average, can live from 114 to 119 days given the fact that the conditions for their existence are favorable, namely: the air temperature needs to stay between 10-15 °C. the higher the temperature, the shorter the life of komarichi. 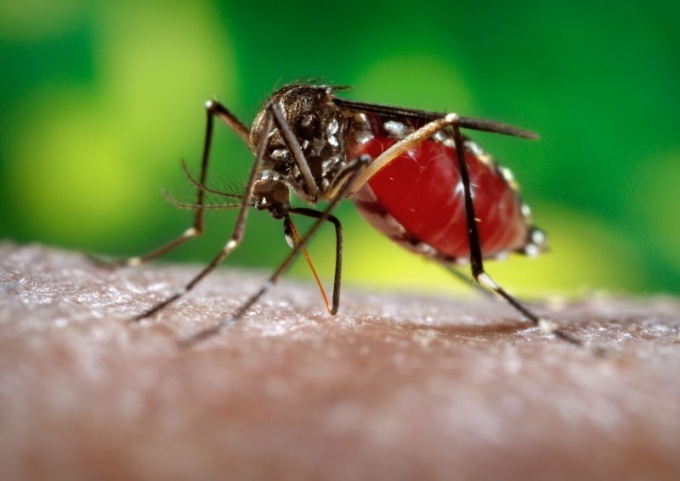 Male mosquitoes, regardless of the external factors, only live for about 19 days. It should be noted that how long the warm season, can live female mosquitoes. But there are some types of komari that hibernate in winter. Mosquitoes in the winter are in the water, and that is where their life begins. In winter, the mosquitoes live in other forms, eggs, larvae and pupae. Female lays eggs in the ponds with stagnant water, where they develop further. From the moment of birth before the mosquito becomes an adult individual, capable of flying, is just nine to fourteen days. Adults spend their entire lives, namely summer and autumn, on land. 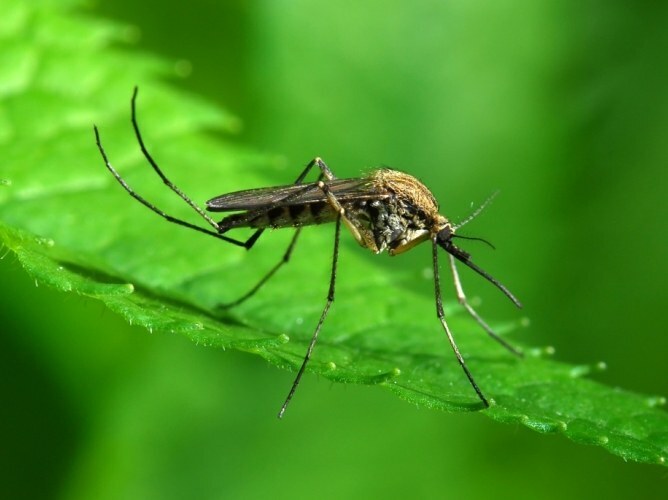 Further, all male mosquitoes die and female-mosquitoes (and not all) travel to the waters to wait out the winter and spring to lay eggs for a new life. Where and how to spend the winter flies? Where winter mosquitoes are found, but where wait the cold time flies? Flies, unlike mosquitoes, which are obsolete in the summer, do hibernate, or to be more precise, this process is called suspended animation. It is known that the lifespan of adult flies for about a month, but many insects of this sub-species able to live much longer. For example, a fly that fell into a sleep, able to survive six months or more. With the onset of the first frost flies hide in various cracks, window frames and other secret places, where throughout the winter period keeps an even cool temperature. In these areas, they overwinter in a state of hibernation. Able to winter not only adult flies, but the larvae they lay the day before. When the first rays of the sun penetrate into the room where you sleep flies, insects come alive, and the larvae and pupae continue their development. Everyone knows the expression: goes sleepy, like a fly. Indeed, when the fly wakes up after a long hibernation, she initially goes, just like the sleepy, reeling from one side to the other. After some time, the insects develop and begin to live a new spring / summer life. Mosquitoes are common on Earth almost everywhere. They can be seen on the mountaintops and in the tundra and the tropics. The only exception is Antarctica and hot deserts too. A lot of anxiety these little blood-sucking insects bring to humans and animals. And that's where mosquitoes hide during the day and cold weather? Scientists have found out features of the behavior of these insects. It turned out that some mosquito species are very resistant to cold. For example, mosquitoes-Dergunov, inhabiting the Himalayas, are able to maintain activity even at a temperature of minus 16оС. These insects live in tunnels and crevices of the glaciers where dripping melted water. In their shelters mosquitoes lay their larvae, which feed on algae and bacteria. In urban environments mosquitoes prefer to hide in basements and sewer systems. Recently the behavior of typical for cities of the mosquito-Piskun has changed significantly. Basement mosquitoes are happy now living in dirty water. Under normal conditions, the mosquitoes, creating a swarm where mating of females and males. Basement space for education Roy isn't always enough. Therefore, modern mosquitoes have adapted to mate outside of the swarm. Wintering species of mosquitoes hiding in secluded places, such as under tree bark and in narrow crevices and folds of the soil. Gradual lowering of the temperature, the mosquitoes are transferred without any harm to himself, falling into a state of stupor. In search of a place to shelter mosquitoes can fly several kilometres. Insects often hide in vehicles, aircraft and ships, where the ability to wait out the time while navigating over very long distances. In summer, mosquitoes prefer the day to take refuge in houses, hiding behind the rear wall of the furniture, in the folds of clothing or curtains, in cool and dark places. Closer to the night insects begin to show activity, which reaches its peak by midnight. Some species of mosquitoes are most active early in the morning. The usual life expectancy of urban mosquito is two to three weeks, but under the right conditions, insects can live for much longer, giving life to several generations of their own kind. Mosquitoes breed near water sources, taking up puddles and boggy areas of land. About a week after laying eggs of them develop adult mosquitoes. Flies are among the most prolific insects. Winged creatures are a constant companion of man. 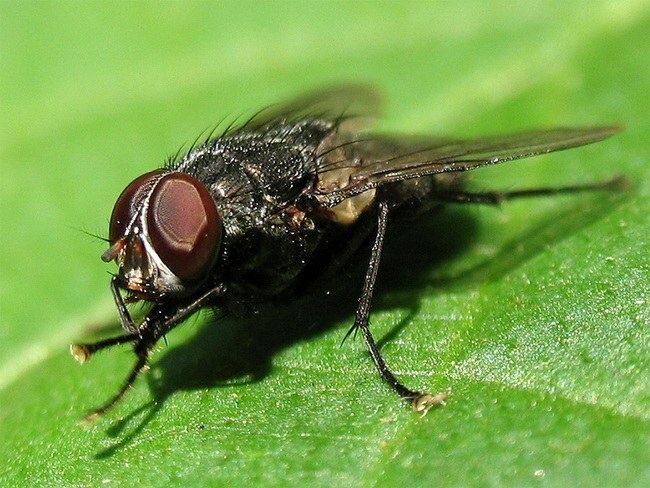 House flies are harmless but can be carriers of certain diseases. Garden representatives cause damage to crops and fruit crops. Flies appear in early spring and disappear in late autumn. The wintering process each species of these insects are different. 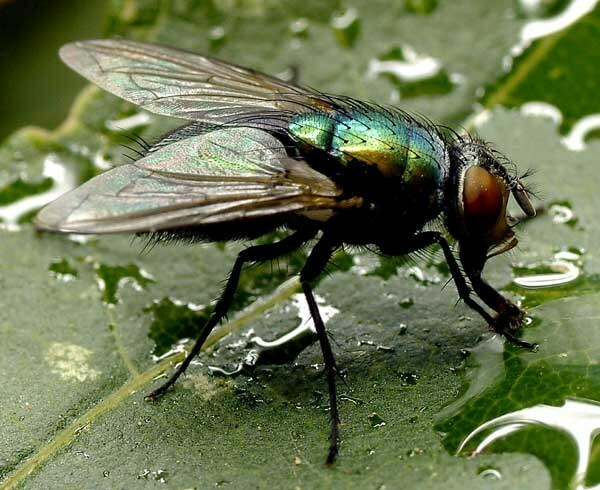 The life of a housefly lasts usually no more than one month. Insects that live in late autumn, with the onset of cold weather changing very much. If the summer to catch a fly is no easy task, before the beginning of winter they become sluggish, sleepy and slow. The main task of the flies in this period is to find a safe shelter with an even temperature. Places of hibernation, insects usually are cracks in window frames, basements of buildings or balconies. Opinion that the fall of the house flies start to bite – wrong. This kind of insects is absolutely not prone to such types of aggression. Bite human and other species of flies – the autumn of zhigalki. Once the fly finds a place for the winter, it becomes dormant. All the biological processes of body of the insect stop for six months. With the onset of thaw the flies are slowly starting to Wake up and return to normal life. Delayed insect larvae and pupae also in colds inactive. Similarly, the life processes begin to operate after normalization of temperature. Under the "street" refers to those flies and insects that inhabit the fields, gardens and orchards. The main diet of these representatives of the insect world – fruit and cereals, corn and grasses. World flies are presented with numerous varieties, whose number exceeds one thousand. These insects are common on all continents, except Antarctica. These flies overwinter in the ground. However, to hide properly, it is not always possible, so most of the flies die from the cold, and winter is only their larvae and cocoons. They hide usually in the stems of cereal crops or in the soil. The first flies emerge from the larvae already at the onset of the thaw. Their awakening directly affects the air temperature. Brings together all kinds of flies, the fact that the female can lay eggs almost everywhere – in plants, soil, food waste, landfills and municipal trash. First, the eggs turn into larvae, and then through several molts are formed pupa from which the winged insects. Before the onset of the cold female flies make the last egg laying. However, those larvae that did not manage to turn into insects, not dying, and fall asleep. They can survive almost any climatic conditions. Adults same individuals are often unable to cope with sudden frosts.